Postpartum hair loss. It’s totally a thing and something I’ve been seriously struggling with for years. If you know me, you know this is something I’m really self-conscious about. I’m pretty sure it’s a sensitive issue for most women going through it. Nobody wants to see clumps of hair falling out! I’ve literally tried just about every product on the market…all the pills, products, creams, masks – everything. Very few products have really stood out and made a noticeable difference in my hair’s appearance. 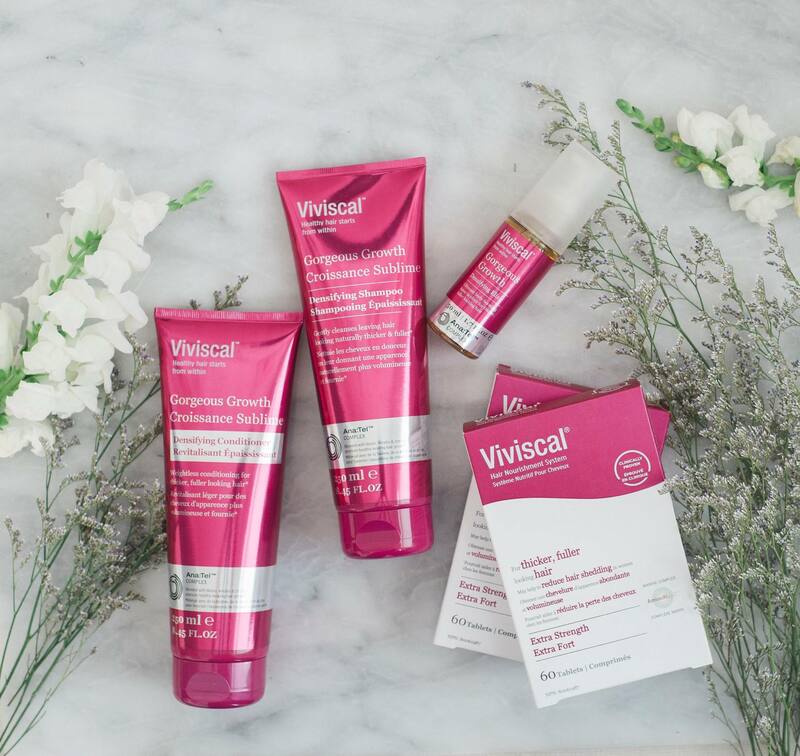 I started using Viviscal’s Gorgeous Growth Densifying Range – shampoo, conditioner and elixir – a few months ago, and I had to share this brand with you. To be fully transparent, this post is sponsored by Viviscal Canada; however, I actually started using their products and loved the results almost two months prior to any partnership taking place. I would never point a woman going through postpartum hair loss (or any hair loss) in the wrong direction. Viviscal is the real deal, I have truly noticed a difference in my hair’s appearance. The Gorgeous Growth Densifying Elixir is probably my favourite product! It really boosts the volume in your hair and gives a much fuller appearance with lots of body. My hair is very fine and thin, even before I had children, so this really makes a noticeable difference. I’ve been using the products for over 4 months now and still really enjoying them! 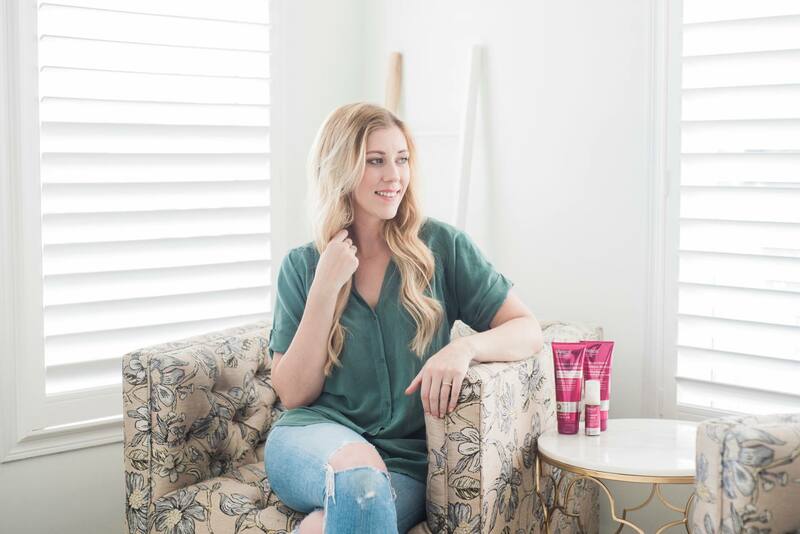 The range of products work with their clinically proven Viviscal Extra Strength hair growth supplements, which I’ve now been taking for a month. It’s a unique dual-action system so you can achieve healthy growth from the inside out. I’m really optimistic that the supplements will work as well so I’ll have to keep you posted on those after I’ve tried them for a little while longer. I’m hoping that they also make an impact on my hair’s appearance. If anyone else is struggling with postpartum hair loss I’d love to hear from you. Not many people talk about it and it’s something that I personally feel really self-conscious about. If anything has worked for you or if you have any questions please leave them in the comments below. You can pick up Viviscal at your local Shoppers Drug Mart.